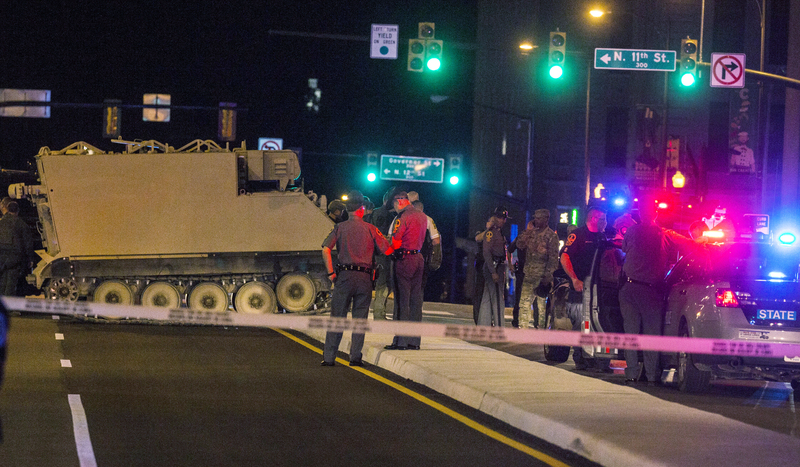 RICHMOND, Va. (CN) – Police in Virginia have arrested a soldier they say stole an armored personnel carrier from the nearby Fort Pickett National Guard base and proceeded to lead them on a chase that extended for more than 60 miles. State police say Joshua Philip Yabut stole the military vehicle, which drives on tracks like a tank, shortly before 8 p.m. Tuesday night and took off down Interstate-95 at speeds of up to 45 miles per hour. The chase ended in downtown Richmond, where witnesses said Yabut exited the vehicle and simply walked around until police confronted him. The witnesses said a police dog was used to corner the solider, who was then shot with a Taser and taken into custody. They said both the soldier and the vehicle were unarmed at the time of the incident. Yabut has been charged with driving under the influence of drugs, felony eluding police and a felony count of unauthorized use of a vehicle. No injuries or property damage were reported from the incident.